Welcome to Soap Busters Headquarters! At SBHQ, you can visit many different "Dimension Worlds" while having a blast! 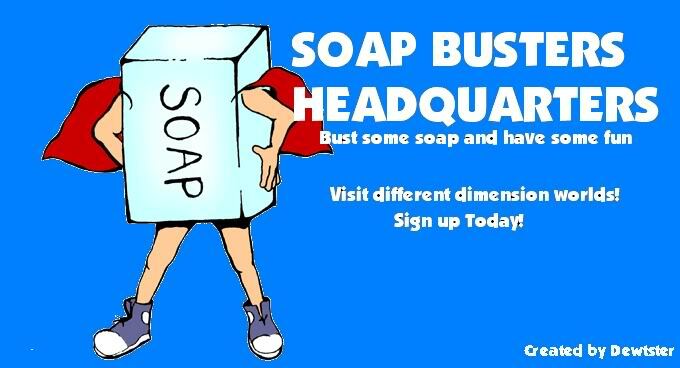 Become a Soap Buster Member by Registering with us today! Hit counter provided by www.website-hit-counters.com . » Apply for Operation "Batcave" NOW! » Diagon Alley: Buy your Supplies! » Think of cool new Ice Cream Flavors and WIN! Though Site Construction is not finished quite yet; After it is done, SBHQ will invite tons of peeps over! Keep in mind that for every person you invite to SBHQ, you are awarded with 50 SOAP BUCKS! Welcome to Soap Busters Headquarters! Team Members, Please read the Rules before posting anything! 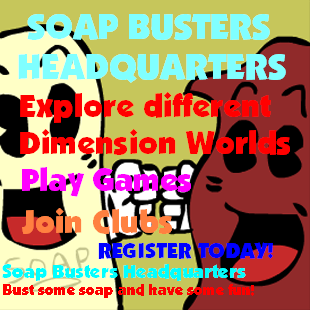 SBHQ is the home for the famous busting soap machine (not really) Anyways, at SBHQ, you can visit many different dimension worlds at one site! Sign up now!